Largemouth bass (Micropterus salmoides); photo by Clinton & Charles Robertson on Flickr (use permitted with attribution). 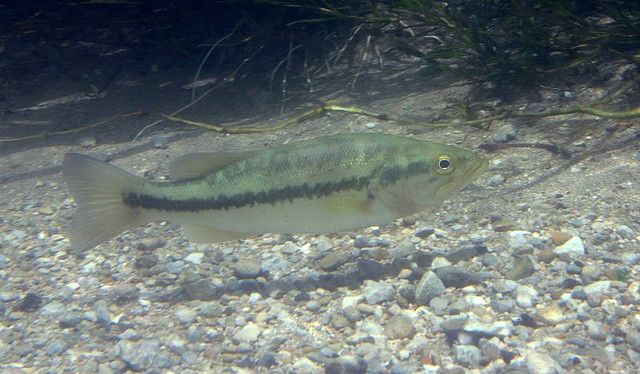 The largemouth bass (Micropterus salmoides) was designated the official state fish of Georgia in 1970. Georgia also recognizes an official state salt water fish and a state cold water game fish (as well as an official state seashell and marine mammal). This black bass (an elongated sunfish) lives in quiet, vegetation-rich waters (also called black bass, green trout, bigmouth bass, or lineside bass). Adult largemouth bass are active predators in the aquatic ecosystem, feeding on other fish and large invertebrates (such as crayfish). Large bass will also prey upon smaller bass. Largemouth bass can reach a length of more than twenty inches and weigh more than fifteen pounds. 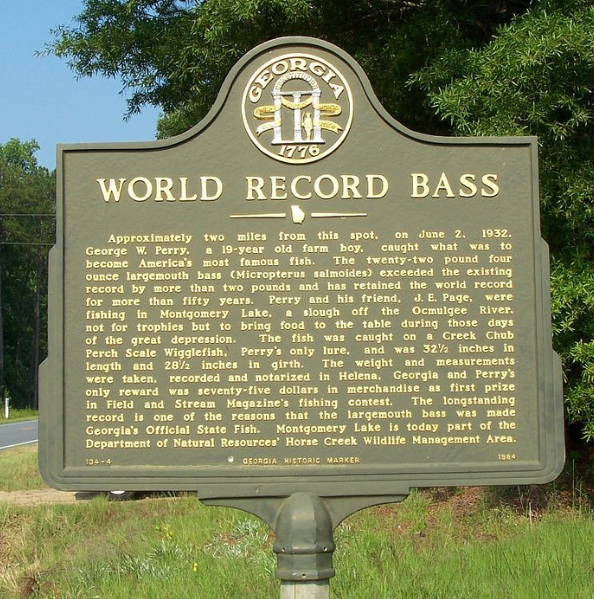 World record largemouth bass historical marker; photo by Georgia Wildlife Resources Division on Flickr (noncommercial use permitted with attribution / share alike). 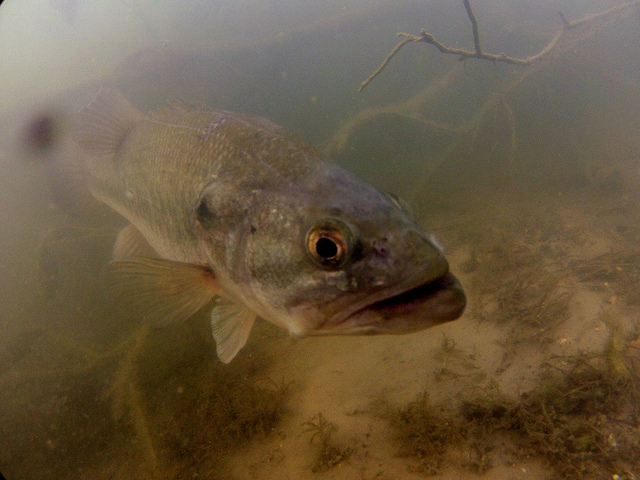 Largemouth bass; photo by FWC Fish and Wildlife Research Institute on Flickr (noncommercial use permitted with attribution / share alike).